← Some Random Roadtripping in Atlanta Thoughts. 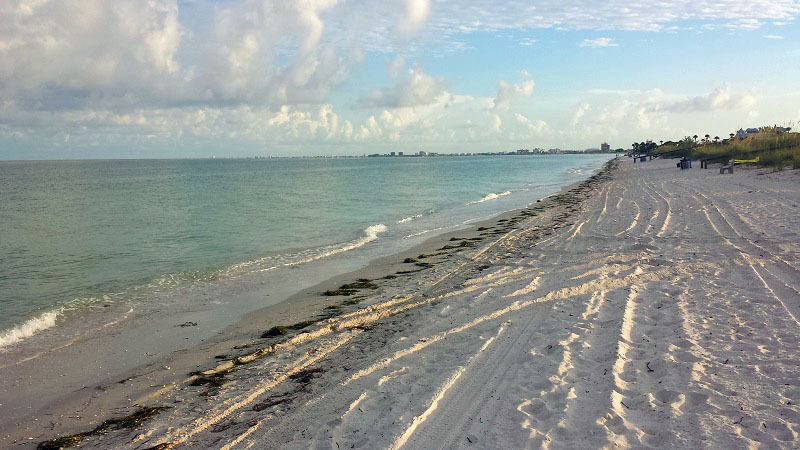 An Early Morning Stroll Along Pass-a-Grille Beach. 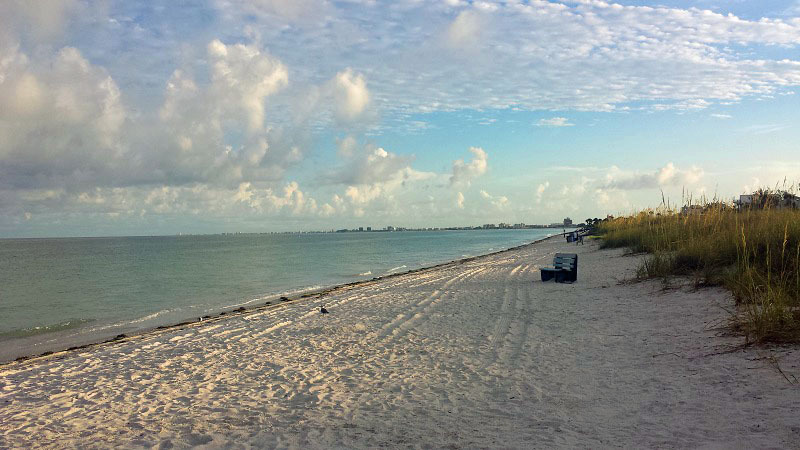 The gulf coast in Florida, especially St. Pete Beach, is well-known for their beautiful sunsets. Waking up right after sunrise one summer morning, I found the area to be just as scenic during the early morning hours. 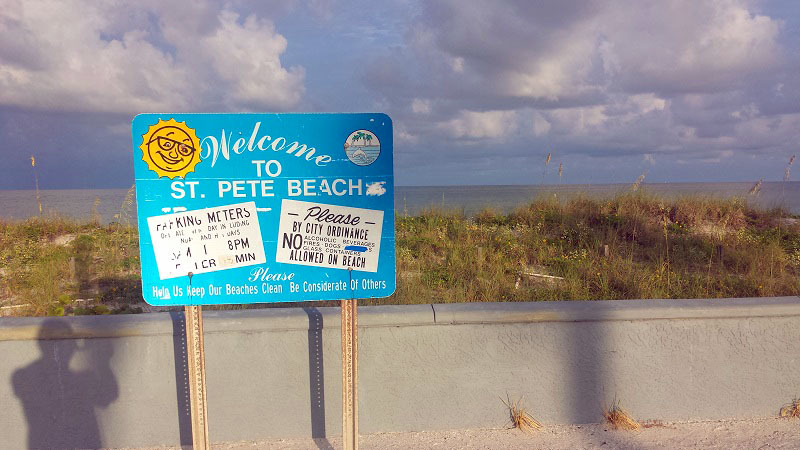 I approached Pass-a-Grille Beach and the historic district alongside near St. Pete Beach’s southern most point. Some small dunes were all that separated Gulf Way and myself from the sugar-soft sands and the Gulf of Mexico. 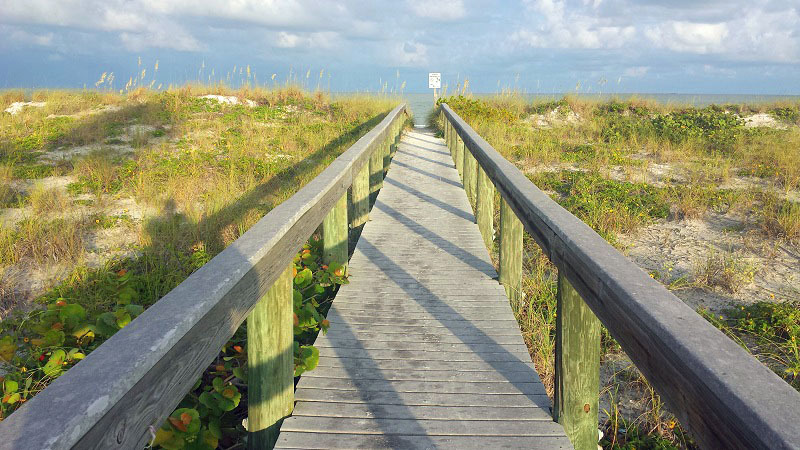 It was time to walk the short wooden bridge and see more of the gulf with every step. The early morning sun, some blue skies, a calmness to the water and not a sole around, I had this part of the beach all to myself. 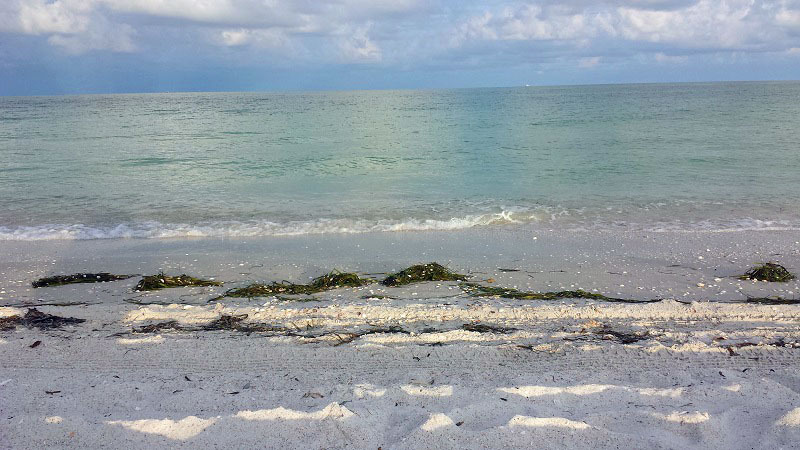 It wouldn’t be a morning along the beach in these parts without a bunch of seaweed that washed ashore overnight. 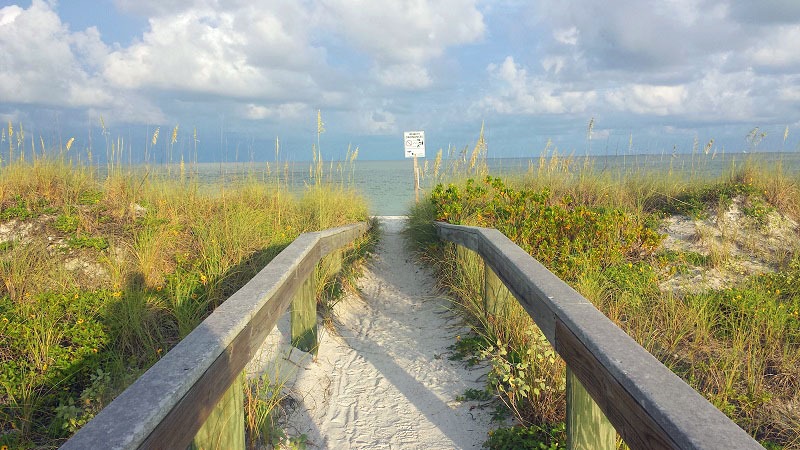 Pass-a-Grille and this part of St. Pete Beach is off the beaten path, a mile or two south off the main highway. It’s a recommended stop. You’ll find shopping, ice cream, restaurants and fishing opportunities to go with the beach. Merry Pier is definitely worth a look. Checkout the beauty of a St. Pete Beach area sunset. 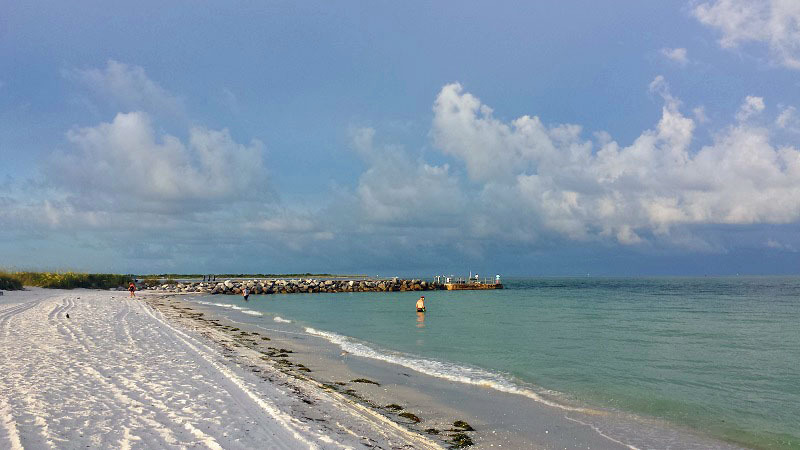 Are there any off the beaten path beach spots you would recommend along the Florida Gulf Coast? 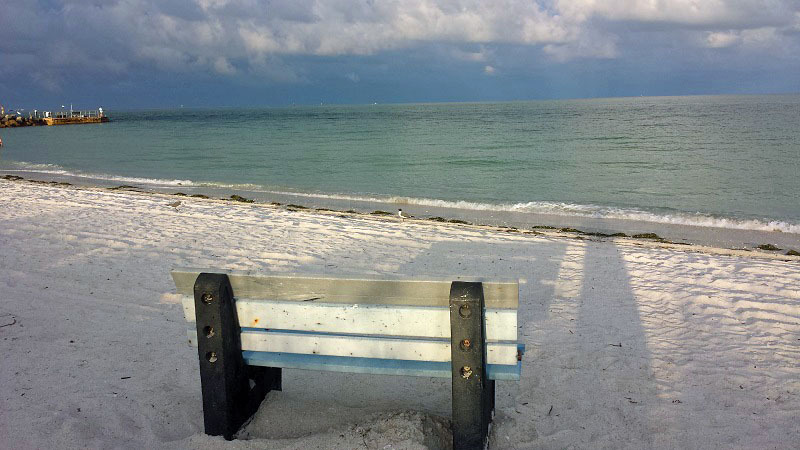 This entry was posted in beach, Florida, travel and tagged beach, Florida, Gulf of Mexico, Pass-a-Grille, St. Pete, St. Pete Beach, tropical. Bookmark the permalink. Love how the first picture takes me away! 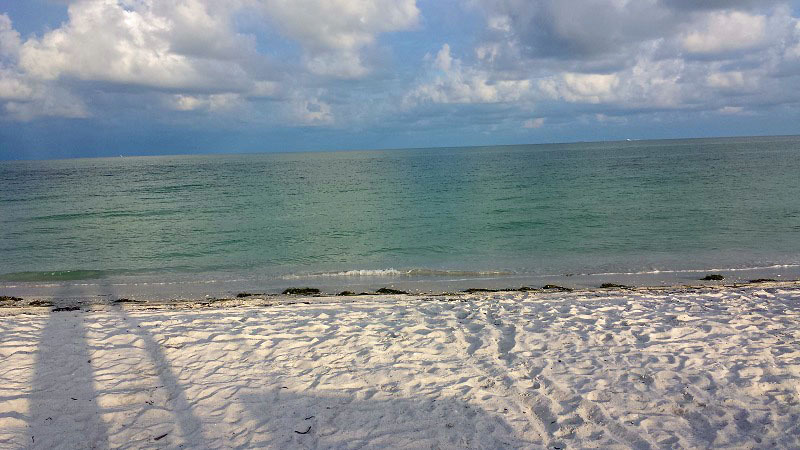 I love those Florida white sand beaches and that fabulous water! I am pretty sure I have visited this beach before. St. Petersburg is a beautiful city.